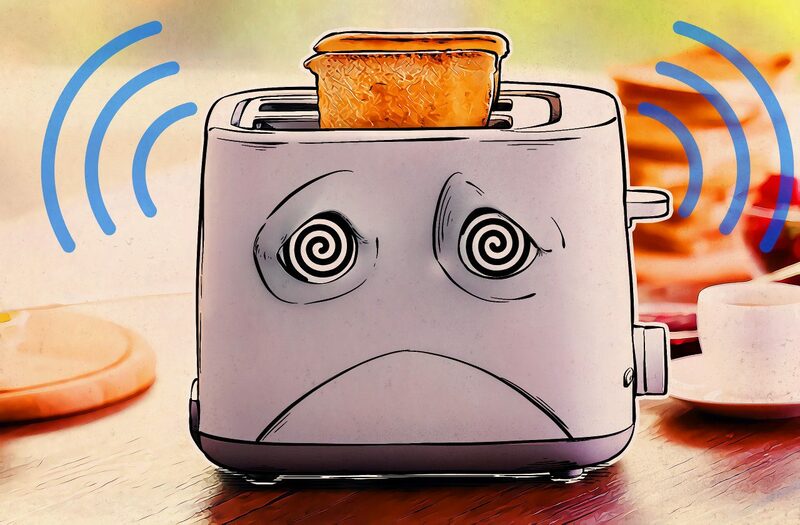 Perhaps the most striking point about last week’s huge DDoS attack, which took down more than 80 big websites and online services, is that the criminals behind the attack accomplished it not by particularly sophisticated or cutting-edge means, but by creating a veritable army of consumer connected devices — what we call the Internet of Things (IoT). In this post we explain the critical concepts and how this incident is connected with every one of us. On October 21, lots of Americans woke up to find some of their most popular websites were unavailable. No watching Netflix, no transacting business through PayPal, no online gaming with Sony PlayStation. And they couldn’t even tweet about the problem — Twitter was down as well. In all, 85 major sites were either showing signs of stress or simply not responding at all. As it turned out, the underlying problem was a series of attacks — three in all — against the American Internet infrastructure. The first wave affected the East Coast. The second one affected users in California and the Midwest, as well as Europe. The third wave was mitigated by the efforts of Dyn, the DNS service company that was the main target of all three attacks. Music services, media, and many other resources were affected. Amazon came in for special attention: a separate attack against it in Western Europe brought the site down for a while. So, how is it possible to disrupt so many sites with just three attacks? To understand this, you need to know what DNS is. The Domain Name System, or DNS, is the system that hooks up your browser with the website you’re looking for. Essentially, each site has digital address, a place where it lives, as well as a more friendly URL. For example, blog.kaspersky.com lives at the IP address 161.47.21.156. A DNS server works as an address book — it tells your browser at what digital location a site is stored. If a DNS server does not respond to a request, your browser won’t know how to load the page. That’s why DNS providers (especially major ones) form an important part of critical Internet infrastructure. That brings us to DDoS. A distributed-denial-of-service (DDoS) attack floods the servers that run a website or online service with requests until they collapse and the sites they serve stop working. For a DDoS attack, criminals need to send an enormous number of requests, and that’s why they need a lot of devices to do it. For a DDoS attack, they usually use armies of hacked computers, smartphones, gadgets, and other connected things. Working together (but without their owners’ knowledge or consent) these devices form botnets. So, you see how it all happened: Somebody used a giant botnet against Dyn. It included tens of millions of devices — IP cameras, routers, printers and other smart gadgets from the Internet of Things. They flooded Dyn’s site with requests — a claimed 1.2 terabits per second. The estimated damage is about $110 million. However, the criminals responsible did not ask for ransom or make any other demands. In fact, they did nothing but attack, and they left no fingerprints. However, hacker groups New World Hackers and RedCult have claimed responsibility for the incident. In addition, RedCult promised to follow up with more attacks in the future. Why should the average user care about this stuff? Even if the Dyn incident did not affect you personally, that does not mean you did not take part in it. To create a botnet, criminals need a lot of devices with Internet connections. How many connected devices do you own? A phone, perhaps a smart TV, DVR, and webcam? Maybe a connected thermostat or refrigerator? Hacked gadgets serve two masters at the same time: For their owners, they work as usual, but they also attack websites at a criminal’s command. Millions of such devices took down Dyn. This gigantic botnet was created with the help of Mirai malware. The malware’s action is rather simple: It scans for IoT devices and tries a password on whatever it finds. Usually people do not change their gadgets’ default settings and passwords, so the devices are easy to hack — that’s how they get conscripted into the zombified armies of Mirai and similar malware. And that means that your connected TV could be a part of botnet, and you’d never know it. In September of this year somebody used Mirai to take down the blog of IT security journalist Brian Krebs, overwhelming the server with requests from 380,000 zombified devices at up to 665 gigabits per second. The provider tried hold the line but eventually gave up. The blog started working again only after Google intervened to protect it. Soon after that attack, a user going by the pseudonym Anna-senpai published the Mirai source code on an underground forum. Criminals of all stripes grabbed it at once. Since then, the number of Mirai bots has increased constantly; the Dyn attack occurred after less than a month. DDoS is a very popular type of attack. And using smart devices in such attacks is appealing for criminals — as we’ve already mentioned, the Internet of Things is buggy and vulnerable. That is not likely to change in anytime soon. Developers of smart gadgets do little to secure their devices and don’t explain to users that they should change the passwords on cameras, routers, printers, and other devices. In fact, not all of them even allow users to do so. That makes IoT devices perfect targets. Today somewhere between 7 and 19 billion devices are connected to the World Wide Web. According to conservative estimates, that figure will reach 30–50 billion in the next five years. Almost certainly, the majority of these devices will not be powerfully protected. In addition, gadgets compromised by Mirai are still active — and new ones join its army of bots every day. Criminals often use botnets to attack core industrial infrastructure — electrical substations, water utilities, and yes, DNS providers. Security researcher Bruce Schneier observes and opines that somebody is “learning how to take down the Internet” with the help of powerful and continuous DDoS attacks. Botnets are getting bigger, and when those attack-tests are finished, it’s not unreasonable to believe a full-scale attack will start. Imagine dozens of simultaneous attacks as powerful as the Dyn incident was and you’ll understand what damage can be done. Entire countries could lose their Internet. One person cannot stop botnets from crashing the Internet — but together we can do a lot by not joining a botnet. You can start with making your devices more secure so that Mirai and similar malware can’t take control of them. If everyone did that, botnet armies would shrink into insignificance. To stop your printer, router, or refrigerator from plunging the world into Internet darkness, take these simple precautions. 1. Make sure you don’t leave default passwords on your devices. Use reliable combinations that cannot be brute forced easily. 2. Update firmware for all of your gadgets — especially the older ones — if possible. 3. Be selective in choosing smart devices. Ask yourself: Does this really need an Internet connection? If the answer is “Yes!” then take the time to read about the device options before buying. If you discover that it has hard-coded passwords, choose a different model.